Users now have the ability to set default proration options on a membership plan. Below is an explanation of each option. None - Proration is not allowed on this membership plan. 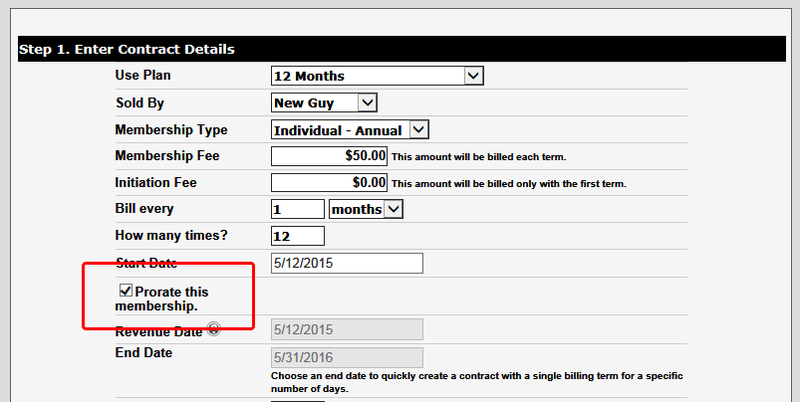 When selling a membership plan the user will have the option to select the Prorate this membership checkbox. This will automatically calculate based on the selected prorate option determined for the membership plan. 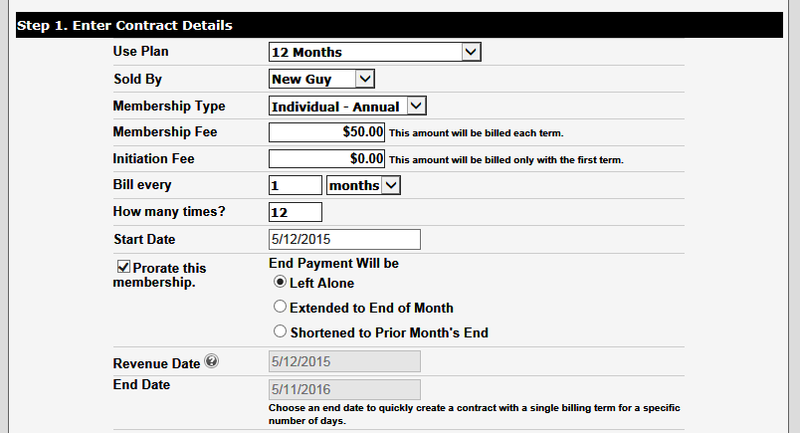 When selling a membership plan the user will have the option to select the Prorate this membership checkbox. When selected, the user will be presented with the same default options on the plan level. *Please note: Left Alone is the same as Prorate the final installment from the options listed above.